Lewes Cardiologist Heather A. Raff, MD, will speak at the 6th Annual Go Red for Women luncheon, Sept. 19 at Baywood Greens. Most people might be surprised to learn that the leading killer of women is heart disease. More than 200,000 women die each year from a heart attack – five times more than those who die from breast cancer, reports the National Coalition of Women with Heart Disease. Two-thirds of women who suffer a heart attack do not make a full recovery, according to the National Institutes of Health. Luckily, there are preventive measures that women can take to decrease their risk of a heart attack, and to improve their chances of surviving one, while still maintaining quality of life. Beebe Medical Center will sponsor the 6th Annual Go Red for Women Luncheon and Fashion Show Wednesday, September 19, at the Clubhouse at Baywood Greens in Long Neck. Doors will open at 11 a.m. and lunch will be served at noon. The cost is $25 a person. Heather A. Raff, MD, a cardiologist in Lewes with Cardiovascular Consultants of Southern Delaware, will be the keynote speaker. Dr Raff, who is a member of the Beebe Medical Staff, moved to the community more than a year ago following her fellowship in cardiovascular disease at the University Of Colorado School Of Medicine. 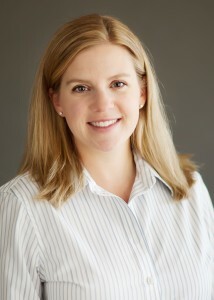 Dr. Raff earned her medical degree at Jefferson Medical School in Philadelphia. While there, she was a member of the Alpha Omega Alpha and the Hobart Amory Hare honor societies. She completed her internship and residency at the University Of Colorado School Of Medicine. As an extra addition to the luncheon event, community health nurses from the Beebe Medical Center’s Population Health Department will be providing blood pressure screenings for those attending the luncheon from 11 a.m. until noon. Co-Chairs of the event are Pat Sandy of the Beebe Medical Center Auxiliary and Donna Streletzky, Vice President of Operations at Beebe Medical Center. For tickets, contact either Pat Sandy at 226-7732 or Muriel Pfeiffer at 947-2640. Choices for the lunch entrée are: chef salad, grilled chicken sandwich with cheddar and bacon), and a vegetable Panini with portabella mushroom. Checks, for $25 per person, are to be made to the American Heart Association/So DE. They should be sent to: Muriel Pfeiffer, 13 Apache Ave., Millsboro, DE, 19966.